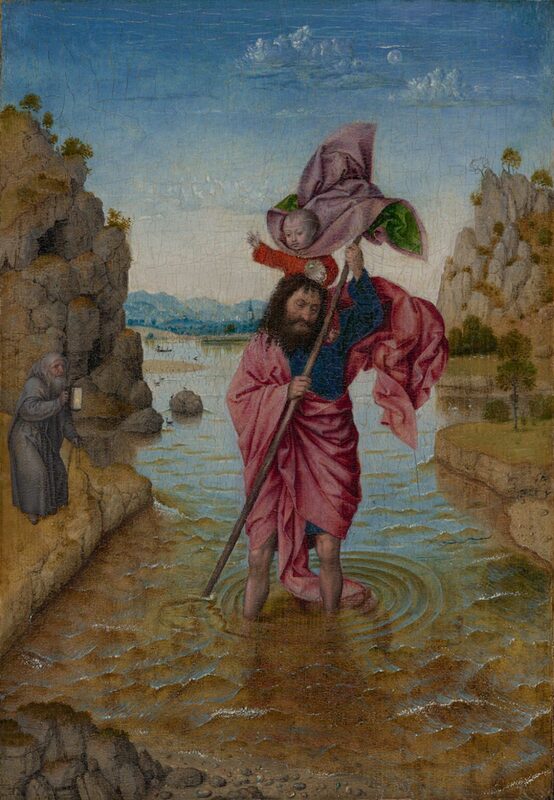 Saint Christopher, long a popular patron saint of travelers, was a giant who transported people across a river on his back. One night he carried the infant Christ across the river, remarking on the great weight of so small a passenger. The child, in fact, was holding a crystal orb and thereby was bearing the weight of the world. This legend accounts for the saint's name, Christopher, which means "Christ-bearer" in Greek. The small scale and jewel-like rendition of details in this painting tie it closely to the school of painting founded by Jan van Eyck.